My son asked for a video game party for his seventh birthday — and he got one. I hired a game truck that he could enjoy with his friends in between lunch, cake, and ice cream. In fact, the party turned out to be relatively easy to plan. The only thing I didn’t do was purchase or make party favors. It’s not that I forgot, it’s that I chose not to provide them. I know most parents hand out favors at the end of a party, but I don’t. I did, however, make a small video game-themed candy buffet so the kids could make a little candy mix to take at the end of the party. The boy looked at me, clearly disappointed, and walked away without saying goodbye or thank you. His parents looked at me and shrugged. I figured they were going to apologize on behalf of their kid. I know I would. But instead they just said, “He really likes party favors,” before they walked away. Am I nuts here? What happened to manners?! I recognize that my stance on party favors might not be a popular one, but here’s the thing: I’m not making a political statement. 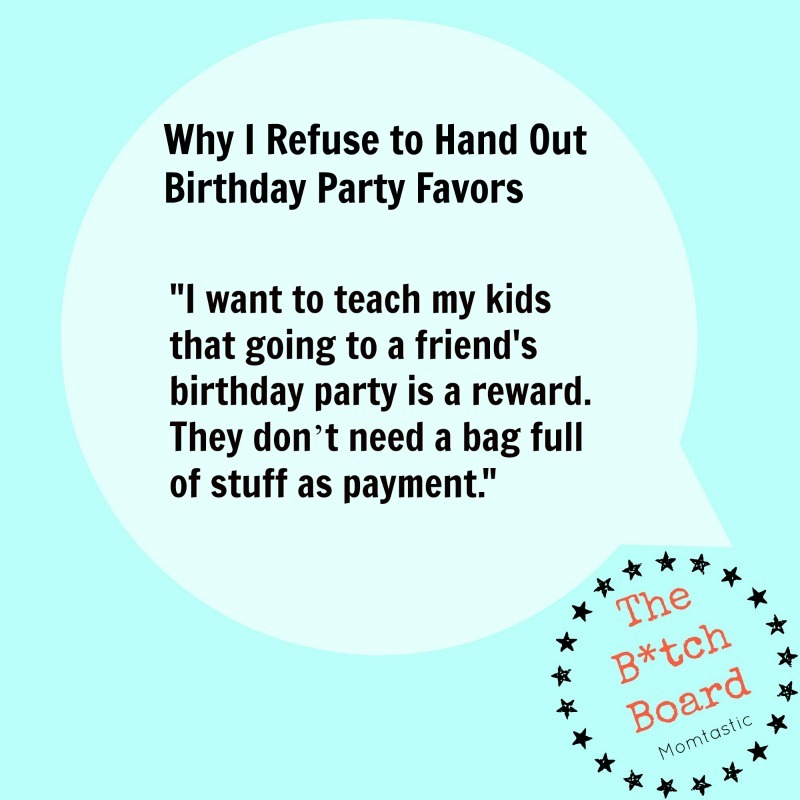 I don’t think it’s wrong for parents who like to provide favors to do so. I just choose not to. I don’t want to spend my time cruising Pinterest in search of an affordable gift for a bunch of kids I’ve just treated to a really nice party. I’d rather put my time and effort into the party, which I think is generous enough. Also, what happened to showing up at someone’s birthday party and being thankful for being invited? 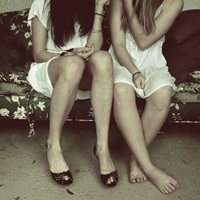 Birthday parties are about celebrating with friends, not about receiving a reward for doing so. Especially when that reward is probably something every kid will break, or toss, by the time he is home. I want my kids to go to their friend’s birthday parties so they can have fun with their buddies, but also so they can be there for their friend. I want to teach my kids that going to a friend’s birthday party is a reward. They don’t need a rubber ball or a bag full of pencils or yo-yos as payment. So I’m saying, “Enough!” to the frickin’ party favors. I hate the expectation that kids get a gift simply for showing up. Birthdays are about giving, not getting. Do you hand out birthday party favors? Why or why not? I Love My Minivan (& No, I Don’t Care That it’s Uncool)I’m Over the Pressure to Be a Perfect Mom, So Why Do I Compare Myself to Other Moms Constantly?